Montana's Fish, Wildlife and Parks Commission has voted to approve a new program to restore nesting Trumpeter Swans in the Madison River Valley, northwest of Yellowstone National Park. The swans that nest in Greater Yellowstone are the only breeding population that escaped extinction in the Lower 48 states. They are the smallest and most vulnerable nesting group in North America. This is one of several projects in the region to that are working to improve swan habitat and restore nesting pairs. 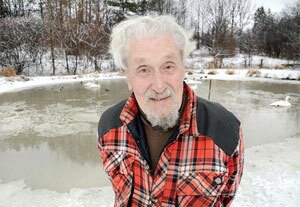 Peter Ward was one of the founding fathers of The Trumpeter Swan Society in 1968. 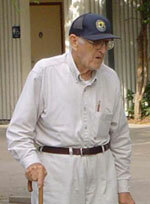 He died suddenly on March 24 at the age of 92 in his home in Portagela Prairie, Manitoba. Up until last May, Peter had been an integral part of the Delta Marsh for decades at Delta Waterfowl "legend-in-residence"
The Trumpeter Swan Society is most grateful to the (Y2Y) Partner Grants Program for supporting our efforts to protect to swan habitat in Montana's Centennial Valley. Y2Y recently announced their grant of $4,500 to support our Centennial Valley Cooperative Wetland Conservation Project. The Centennial Valley, including Red Rock Lakes National Wildlife Refuge, contains the single-most important nesting and molting habitat for Greater Yellowstone's fragile Trumpeter Swan nesting flock. Read more. 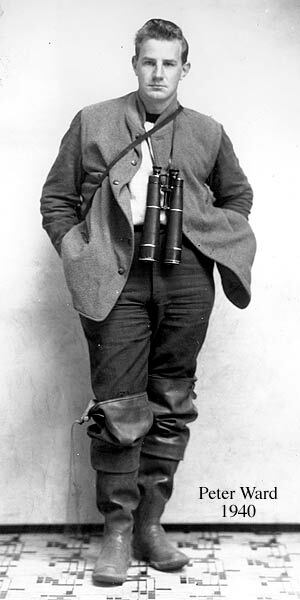 Last month, members, Board members and staff of The Trumpeter Swan Society were saddened to hear of the death of Harold Burgess. 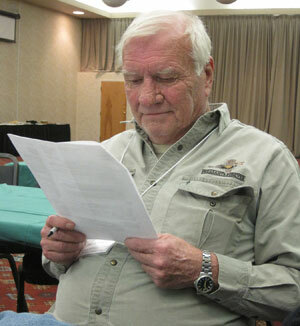 Harold served on the Society's Board of Directors and as President of TTSS for two terms. 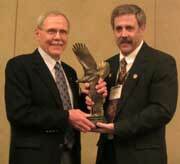 He was recently honored by the Society as one of the first recipients of the TTSS George Melendez Wright Trumpeter Swan Conservation Award. Southwest Montana's Centennial Valley is crucially important to the survival of Trumpeter Swans that nest in the Greater Yellowstone Ecosystem. 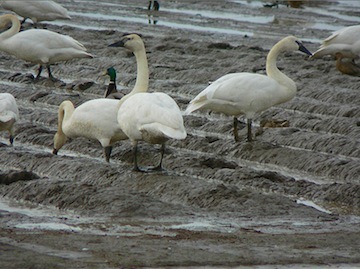 During summer 2011, The Trumpeter Swan Society funded monitoring and research at over 30 historic nesting territories on private ranches and public lands west of Red Rock Lakes National Wildlife Refuge. Swan use and nesting success at these territories has declined in recent years. Our Centennial Valley Project is working in partnership with local ranch owners to document current swan use and habitat conditions. Our goal is to identify and implement habitat improvement projects that will restore the productivity of these nesting territories. Increasing nesting and cygnet production in these territories will increase the security of the Greater Yellowstone Trumpeter Swans and help connect them to the restoration flocks in western Montana. Our recent released report on the Centennial Valley Project 2011 documents the high potential of this area and builds the knowledge base for future site-specific habitat projects. The Washington Department of Fish and Wildlife has re-established a hotline to report dead or ill swans in Whatcom, Skagit and Snohomish counties as the agency monitors trumpeter swans that are ill or have died of lead poisoning. People can call 360-466-4345, Ext. 266, to report dead or sick swans. Callers should be prepared to leave a message that includes their name, phone number, and the location and condition of the swans. The hot line is available 24 hours a day through March. The Trumpeter Swan Society has been working with partners in Washington to locate sources of lead since 2001. TTTS has supported this effort and assists the agencies in responding to reports of dead and dying swans.